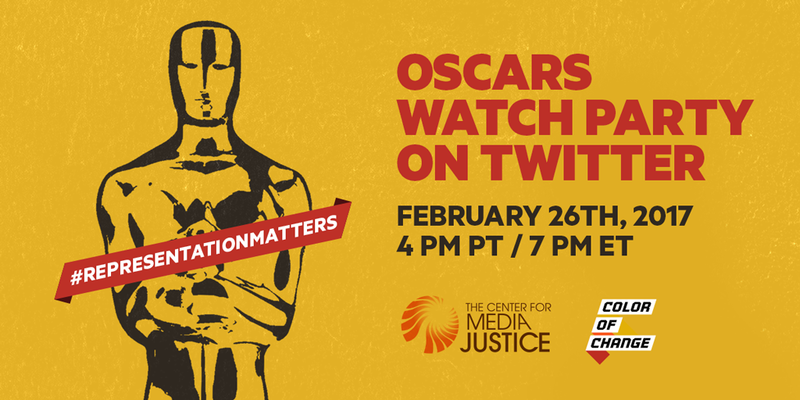 In order to uplift the incredible stories and storytellers of color honored at this year’s Academy Awards, and to use this moment to call for greater diversity at all levels of the industry, Color Of Change and Center for Media Justice will be co-hosting an Oscars Watch Party starting at 4pm PST through the end of the ceremony! Last year, journalist and though-leader April Reign sparked a movement with her #OscarsSoWhite campaign, which highlighted Hollywood’s lack of diversity, and pushed the industry to evaluate its history of shutting out actors and filmmakers of color, particularly Black ones. As a result, the 2017 Oscars race features a significantly more diverse and inclusive line-up of Nominees. Read More. CLIENT NEWS: Classic Urban Drama “JUICE” Coming to Blu-Ray This... Watch Tomorrow’s “MLK Now 2017” TV Special on REVOLT!